Here is a perfect mix of dressed up and dressed down. I love putting pieces together that are a little nontraditional. Dressing up and down at the same time. 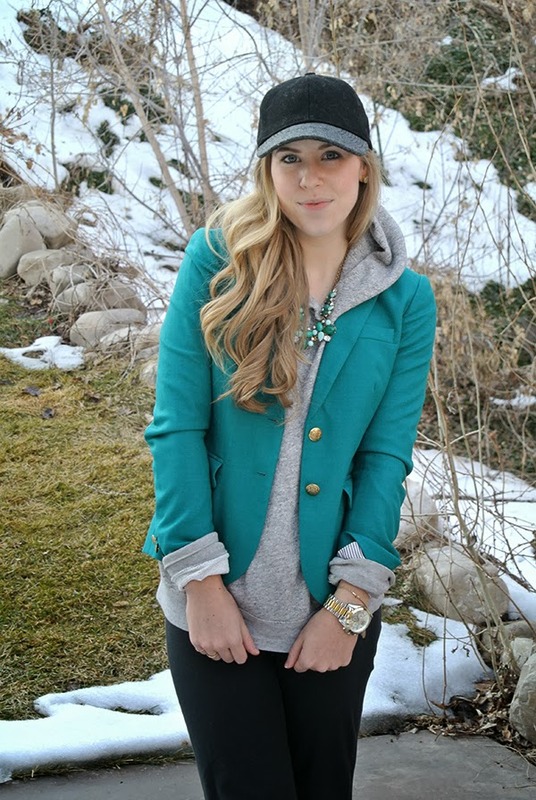 Mixing a sweatshirt with heels, a baseball cap with a blazer. Fashion is fun! What are some of your favorite nontraditional pairings? Be sure to follow along!! Great color. 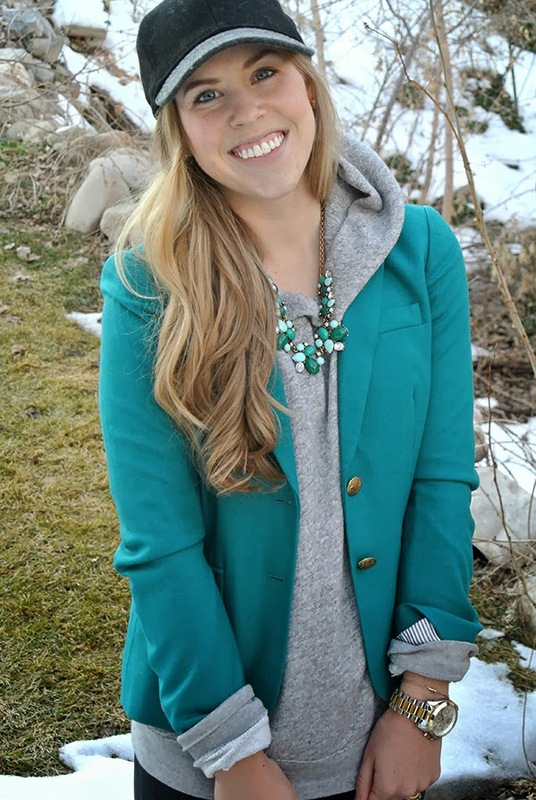 Banana Republic has a really color turquoise blaze that I featured in my turquoise turquoise blog post today. I love how you paired it with the sweatshirt. You are too cute…and I'm glad I'm not the only one wearing heels in the snow! Have a good weekend!